It’s almost time for the opening of Draw Me A Mountain! We have received a tremendous variety of art work, celebrating our love of Mont Royal. If you live near Montreal, I hope you’ll come out to see the show and participate in the public drawing event. 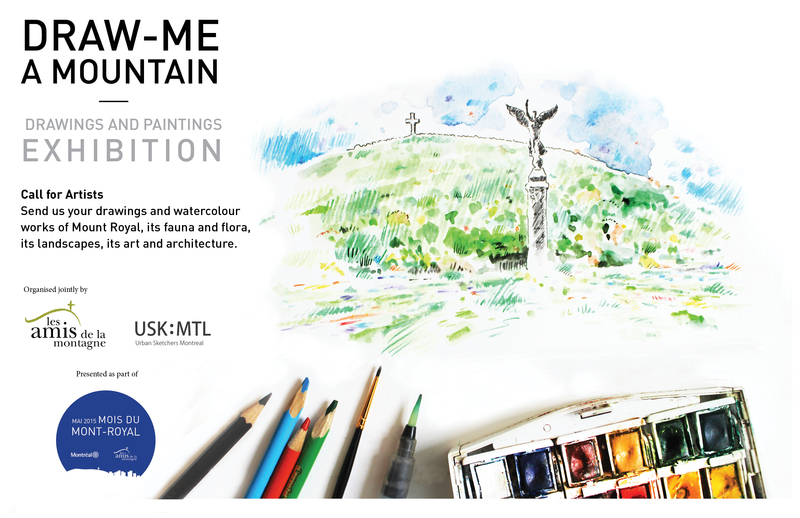 The exhibition Draw Me a Mountain will be on view as part of Mai 2015 – Mois du mont Royal, on Saturdays and Sundays throughout May, at Les amis de la montagne, in Smith House, in Mount Royal Parc. Public admission is free. You are invited to join Urban Sketchers Montréal for a day of drawing and painting on the Mountain on Sunday, May 24 – the anniversary of the creation of Mount Royal Park. Head over to USK:MTL for a preview of works from the show.